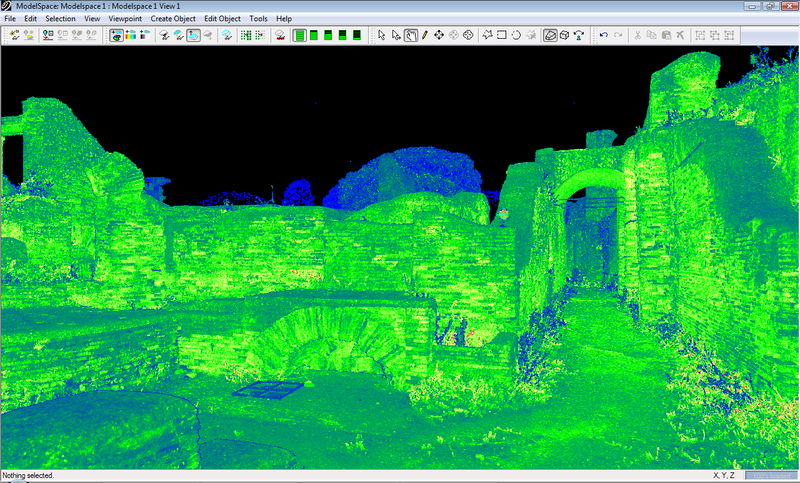 Today Laser scanning began. Helen Moulden and Eamonn Baldwin of Birmingham University brought an enormously heavy box on site and began scanning the Palaestra. It was extremely satisfying to see the devegetation finished and this vital recording taking place. The laser scan will record the position of each brick in every wall, and provide high resolution images of selected areas to reveal traces of decoration and use. Helen and Eamonn will be recording the walls in the palaestra, the forum and the macellum over the next three days, as well as leading the mapping of the nymphaeum in the Piazza della Vittoria. Up in the depot Solinda and Aoife, from Albania and Ireland respectively, started work on classifying the wall plaster, whilst Helen Harrington reviewed our coin collection with the help of Axel Gering. This year we will be cleaning the corrosion from 75 coins in order to identify them for dating purposes. 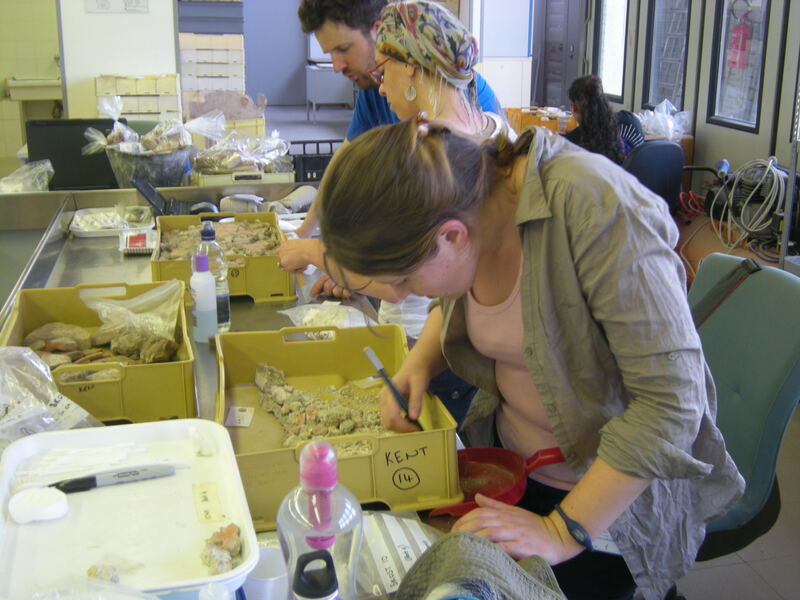 We are also drawing key small finds for publication and processing bones, glass and metal items. This work is essential to generate specialists report. However, work in the depot is not easy, due to the great heat of the building and its many mosquitoes, which have a special taste for Aoife.